Renault's new hot Megane RS keeps up the fine tradition of fast and fun French hot hatches. Not as blisteringly quick as the likes of the Ford Focus RS, and likely to be much more expensive than a Volkswagen Golf GTI, the new Megane Renault Sport (RS) justifies its positioning with a hugely engaging driving experience. Renault was always going to be starting from a good stepping-off point with the Megane RS's styling. The standard Megane hatchback is one of the most handsome cars in its class, so the sporty version's additions just add to that. The RS gets wider wheelarches (overall width is up by 60mm), dark-finished 18-inch alloy wheels (19s are an option), a deep front bumper with a Formula-One-style wing shape, a big diffuser under the back bumper (which we're assured is aerodynamically functional) and some deep slashes for extra air vents in the flanks (ditto). It looks great in the eye-watering orange of our test cars, but thankfully equally good in a deep, rich metallic silver for those who prefer something a little more soothing on the retinas. Pleasingly, Renault has resisted the temptation to fit any huge, gaudy spoilers so if you avoid the lurid paint options, it's a subtly-muscular-looking thing. The cabin is, essentially, that of a standard Megane with some sporty add-ons. That means it's a bit of a mixed-bag of materials. Some are good (such as the main surfaces of the dashboard, the leather-and-Alcantara steering wheel) and some poor (the lower reaches of the dash, the odd carbon-effect leather on the door cards). The upright, portrait-style eight-inch R-Link screen sits in the centre of the dashboard and remains as fiddly and awkward to use as it is in a standard Megane, and if the main digital instruments are as cheap-looking as they are in the normal model, then at least they're backed up by a decent head-up display, projected onto a small plastic monocle screen ahead of the driver. The Megane RS's engine is a new 1.8-litre unit, boosted by a twin-scroll turbocharger and essentially the same as that used in the new Alpine A110 sports car. While the cars were not quite developed side-by-side, there was a certain amount of engineering crossover between them. Renault says that the F1 engine team, based at Viry-Chatillion near Paris, actually had a hand in redesigning the cylinder head, to make it both more efficient and more powerful, so there's a touch of track-to-street appeal about it. 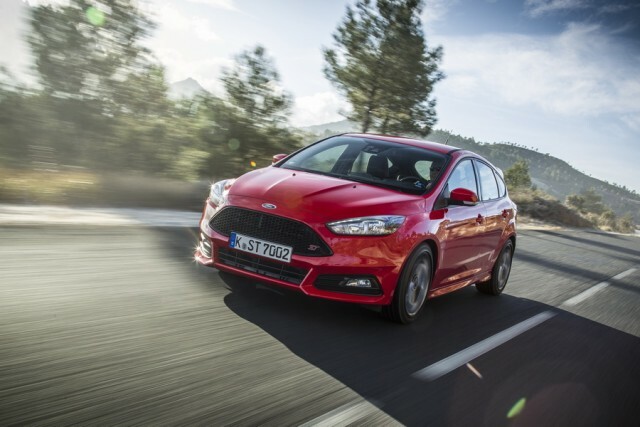 The maximum power output is 280hp and peak torque stands at 390Nm, which pitches the Megane RS roughly half-way between the VW Golf GTI and the super-hot-hatch likes of the Ford Focus RS and Honda Civic Type R. Our Sport-spec test car was fitted with the six-speed EDC dual-clutch automatic gearbox, but a six-speed manual and a more aggressively-tuned Cup chassis are available if you like. At first, the Megane RS doesn't feel all that fast. If you've experienced the sheer savagery of the Focus RS or Civic Type R, then it actually seems noticeably slow, in comparison. There's also an annoying drone from the engine at motorway speeds, which could compromise the car's usability on longer journeys. Thankfully, things get much, much better when you get off the motorway and start finding some proper roads. By proper, we mean the looping, swooping, smooth, twisting quasi-rally-stage roads that Renault found for us near Jerez in southern Spain. All but entirely bereft of traffic, these roads really showed off the Megane RS to its absolute best. The engine comes alive on roads such as these. There's a touch of low-down turbo lag, but once you're working from the top-end of second gear through to fourth and fifth, it's all but eliminated, and the EDC gearbox - which still feels rather dim-witted in auto mode - is much more satisfying when used as a manual, running up and down the gears with the paddles behind the wheel. Now the Megane RS leaps forward, each up-change unleashing an entertaining burp of noise and dropping you right back to the heart of the torque curve. The windier the road becomes, the faster and faster the Megane RS feels. Even so, Renault's engineers swear blind that outright power and pace was never the point. They wanted to create a car that was both useable every day (and certainly more so than the spiky and hard-edged versions of the old Megane RS) and also the most agile and entertaining car in its class. In doing so, once again, Renault Sport's staff have proved themselves close to peerless when it comes to tuning a chassis. The real stars here are the suspension dampers. Lacking electronic control, they've been fitted with new hydraulic bump stops, which progressively increase the bump absorption rates, allowing the car to be relatively softly sprung while retaining excellent control and roll stiffness. The RS, far from being a stiffly-sprung skateboard that leaps from bump to bump, instead flows and breathes with the road, allowing you to find the best cornering line possible, unworried by mid-corner bumps and ruts. It's night-and-day better than the standard Megane, which has an unfortunate propensity to slam straight into its own, hard, bump-stops at the first whiff of a poor road. The steering of the Megane RS is beautifully weighted, too and, although it's lacking the outright feel and feedback that some might like, it inspires terrific confidence through a series of challenging corners. It helps that the RS has rear-wheel steering, or 4Control in Renault-speak. That turns the rear wheels the opposite way to the front ones below 60km/h, effectively shortening the wheelbase and making the Megane more agile. At higher speeds, it turns the wheels in the same direction, adding stability. It works brilliantly, and keeps the Megane tight into the apex of hairpins even when your approach speed has proven a touch, ahem, optimistic. The Megane RS basically covers ground at a staggering rate of knots. It's one of those cars that, when you think you've over-done things and gotten yourself in over your head, reveals another layer of talent, another layer of brilliance, and eggs you on to try better next time. No, it's not the fastest hot hatch out there, but it is bloody good fun. We had a chance to try the Cup chassis car, with a manual gearbox and the Torsen limited slip differential, on the track at Jerez. Slightly lower (by 5mm) and stiffer than the Sport version, it's big fun and can carry massive speed into tricky corners around the Jerez race track. Track mode on the electronic driver selection function (others included a Comfort, Neutral, Personal and Sport) disables the electronic stability control, which sounds great until a fast, damp, righty hander catches you (alright, me) out and puts you (again, me) into an almighty tank slapper. Back to Sport mode, and the welcome safety net of ESC, thanks. Certainly the Torsen diff means understeer is essentially eliminated, in a way that you wouldn't expect of a road-biased car on a big, F1-spec race track, but beyond that it will take an on-road test to find out if the Cup chassis is too stiff for everyday use. Given the way the Sport chassis model tackled those mountain roads, it may just be redundant. Equally too may be the manual gearbox - the shift is slightly long-winded and a touch heavy, so overall the EDC, with its ripple-fire paddle-shift changes, might be the better option all-round. If the Megane RS comes into Ireland at its expected €45,000-ish price tag, then it's in rather an unfortunate middle ground. That means it's more expensive than a VW Golf GTI with the all-important Performance Pack. The Megane is admittedly more powerful, but it's not that much faster in real-world conditions on the road. It's also slower than the likes of the Focus RS and Civic Type R, which are more expensive, but not much more. Standard equipment is good in the Renault, however, including an RS Monitor app in the touchscreen that can record your on-track hot laps for you (imagine how much you can bore your friends with that one), the wonderful seats, the four-wheel steering, the chequered-flag-shaped LED cornering and fog lights set into the bumper and such niceties as split-zone climate control and a full suite of safety equipment. Renault is unlikely to sell many examples of the new Megane RS in Ireland - Irish customers just don't seem to buy into either the brilliance of Renault Sport's chassis tuning, nor Renault's incredible motorsport legacy. It's their loss - although it will probably be somewhat overpriced, the Megane RS has one of the best chassis of any hot hatch, is astonishingly good fun to drive and is a worthy successor to the mantle of its forebears. Ford Focus ST vs. Renault Megane RS: lots of power and epic wheel spin, but only OK to drive and lacks the sophistication of rivals. 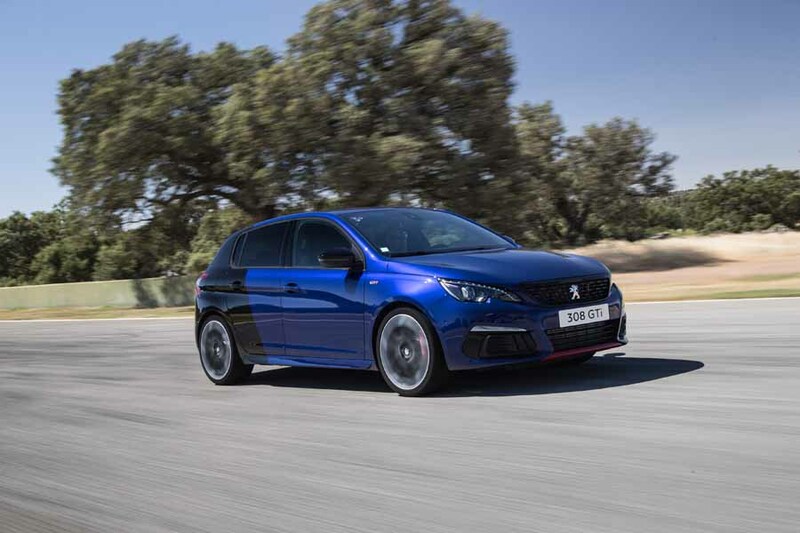 Peugeot 308 GTi vs. Renault Megane RS: closest in terms of power and character to the Renault, but the Megane's chassis is sharper and more exploitable. 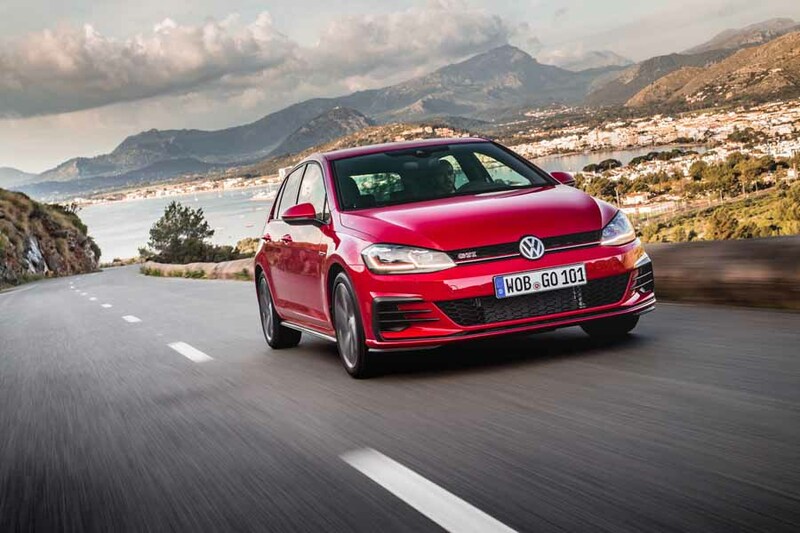 Volkswagen Golf GTI vs. Renault Megane RS: slower, but doesn't much feel it. Brilliantly talented chassis and easy everyday usability.